Manchester City Aces Could Go Out On Loan: Why Leeds United Must Pounce On This Opportunity! Leeds United had to endure a difficult transfer window so far under Marcelo Bielsa as they have only managed to bring in Jamal Blackman and Lewis Baker to Elland Road this summer. 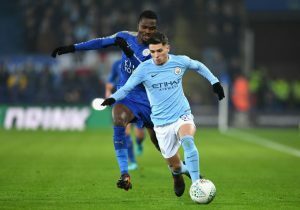 According to recent reports, Manchester City manager Pep Guardiola is still considering whether to loan out some of his young players with the futures of both Phil Foden and Brahim Diaz at the club are currently under the spotlight. 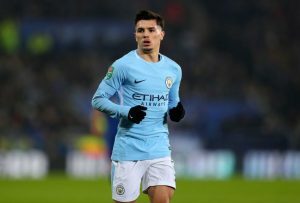 Some sources have recently claimed that Guardiola could let both Foden and Diaz leave the Etihad Stadium in the coming weeks so that they can gain some valuable first-team experience somewhere else and come back in as a much stronger version of themselves, who can be capable of challenging for a place in the Citizens squad. The Peacocks could definitely use this as an opportunity to make a move for either or both of these players as they will definitely improve their squad significantly ahead of the new season and add more competition for places in Bielsa’s squad. Most of the top, young talents available in this window have evaded the West Yorkshire team’s grasps so far. Hence, it’s high time that Bielsa seized one of these opportunities so that he can have a strong squad that can compete on all fronts next term. The Whites had another disheartening campaign last term when they could only claim a 13th placed finish in the English second tier. Their new boss Marcelo Bielsa has to make a few more additions this summer if the Leeds faithful are to have any hopes of a playoff spot next year. The potential addition of any of these Manchester City youngsters will undoubtedly bolster Bielsa’s options at the West Yorkshire club. Both Foden and Diaz has incredible potential to light up the second tier with their dazzling displays and could thrive under the expert stewardship of Bielsa at Elland Road. Guardiola has previously expressed his admiration for the Leeds boss and labelled him as ‘the best coach in the world’. Thus, it only makes sense for the Argentine manager to try his luck and make an approach for some of the up-and-coming talents at the Manchester club. Read More: Leeds Boss In High Demand: Why It Will Be Too Early For Leeds United To Part Ways with Him! Guardiola could be more willing to let a few of his young prospects depart on a temporary basis if a manager like Bielsa can oversee their development. It remains to be seen whether the Peacocks are able to bring in some quality players before the end of this transfer period. 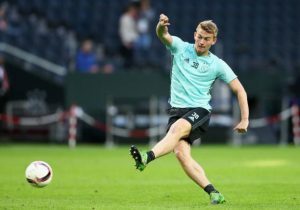 Barcelona Quit The Pursuit Of 22 Y/O World Cup Star Amidst Chelsea Interest: Big Boost For The Blues? Tottenham Hotspur Put Faith In Argentine Ace As They Tie Him Down To A New Deal: Worth The Fuss? Derby County Pip Leeds United To Sign Winger: 3 Replacements For Bielsa Including This Man City Ace! West Ham United Looking To Bring In This Manchester City Starlet: Right Fit For Pellegrini?